Losing hair after pregnancy has become a constant worry of the mothers, making them feel a lack of confidence when communicating with others. This article focuses on gaining back the confidence of the mothers in their appearance after the problem of hair loss after giving birth. Hair is regarded as the second face of women. But statistics show that most women suffer from severe hair loss after giving birth. Most of the mothers admit that postnatal hair loss makes them extremely self-depressed and anxious. There are many unnamed worries of mothers after the pregnancy period: worry about their health, unattractive appearance and cold relationship with their husbands and so on, all “thanks to” the matter of losing hair after birth. Women find it hard to adapt to the changes after giving birth. Although being put under constant anxiety, the mothers refuse to use medication for fear of affecting their child. Most of the “victims” of losing hair after pregnancy share the same self-esteem, feelings of guilt and worry of communicating with people. Therefore, the pressure of caring for their children and family becomes more and more obvious. The pregnant woman’s body witnesses a significant difference in the number of hormones, including estrogen. The estrogen amount in the body determines the speed of hair replacement in women. Pregnant women have an increase in the production of estrogen, but after going through that period, it will decrease to restore the balance, leading to the problem of losing hair after birth. After giving birth, the mother has to deal with many mental problems: worrying for their children, balancing between work and family and even experiencing depression. Long-lasting stress disturbs the body’s metabolism, causing the hair to weaken and fall quickly. Long-lasting stress disturbs the body’s metabolism, causing the hair to weaken and fall quickly. During pregnancy, the mother is supplemented with many nutrients necessary for the development of the fetus. However, these prenatal nutrients concentrate primarily on the fetus, resulting in nutrient deficiencies. The hair does not receive enough nutrients from the blood, so it is easy to be damaged and lost a lot. 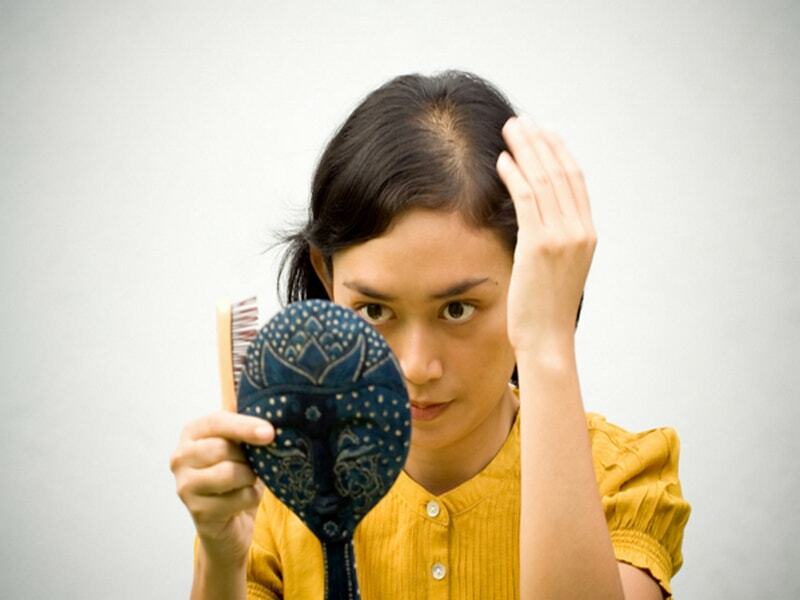 Hair loss after giving birth is a normal physiological phenomenon and can be self-healing. However, to minimize its effects on the health and self-esteem, the mothers need to take effective and timely measures to save their hair. When being pregnant, necessary nutrients are given to the fetus so that so the mother’s body often deficient in vitamins and minerals. That is the reason why hair follicles do not get enough nutrients, so it is easy to hurt and fall off a lot. 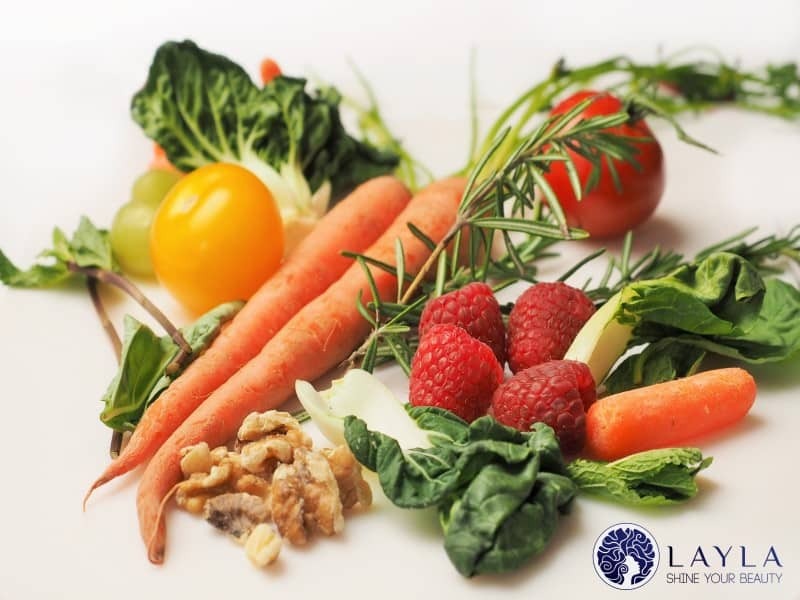 The most effective treatment during this period is to enhance the body’s nutritional needs and to eat a full range of essential nutrients such as protein, iron, zinc, and vitamins. A, B, C, E, H … (plenty in meat, fish, eggs, milk, green vegetables and fruits) and drink plenty of water. In particular, do not forget to add vitamin H (Biotin) and vitamin B5 (pantothenic acid) because they are two “indispensable” friends of a strong, beautiful hair. Post-pregnancy changes such as soreness, anxiety, fatigue, sleeplessness, or depression indirectly or directly cause hair loss after giving birth. Hence, to reduce the pressure on the hair, spend some time to carry out meditation exercises and breathing. This helps to reduce stress, relax the mind, think positively and significantly reduce postnatal hair loss. Also, yoga and meditation are helpful practices to maintain a comfortable, confident and less worried mind. Pregnant women’s hair root is often very weak and easily broken, so there are two important things they should avoid doing are washing the hair too much and brushing it regularly. Women should choose a non-chemical shampoo with natural origin to obtain maximum effects. Also, grapefruit oil extracts help fight bacteria, eliminate fungal infections, minimize hair loss and stimulate hair growth. When doing massage, the oil will penetrate the scalp to create a pleasant feeling and nourish the hair. Thus, women should use grapefruit oil at least three times per week to achieve the best results. For women after birth, blood quality usually decreases, and blood circulation is stagnant, leading to prolonged hair loss. 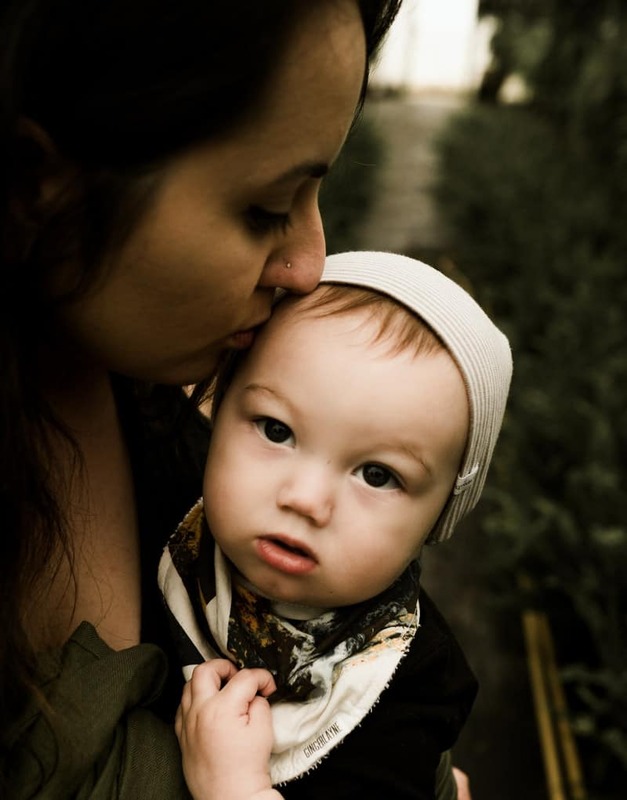 Therefore, to solve the problem of hair loss after giving birth, it is crucial to supplement blood medicinal herbs to improve blood circulation, which results in the hair’s nourishment. Mothers should take care of post-natal hair with natural masks by regularly massaging the scalp to enhance blood circulation. Besides, they should let the hair rest and avoid the use of hairstyling chemicals that easily damage the hair. When losing hair after pregnancy becomes apparent, it will reveal the scalp. It also leads to the loss of aesthetic value. The mothers can consider style their hair with curly pores to give it a fuller look. They should also stay away from straightened form. However, remember not to brush the hair regularly. Because this habit is likely to make the hair loss worsen, so choose a hairstyle that does not require much brushing. Hair loss after giving birth has always worried the mothers. The constant stress it brings to their appearance and confidence is apparent. To overcome the fear of losing hair after pregnancy, women should follow these useful tips and advice to regain their belief in themselves quickly. For more practical information in the beauty field, please share and visit our website to get the newest updates.